I have complicated emotions surrounding Luke Wrenn, former OF farmhand and longtime scout for the Boston Red Sox. 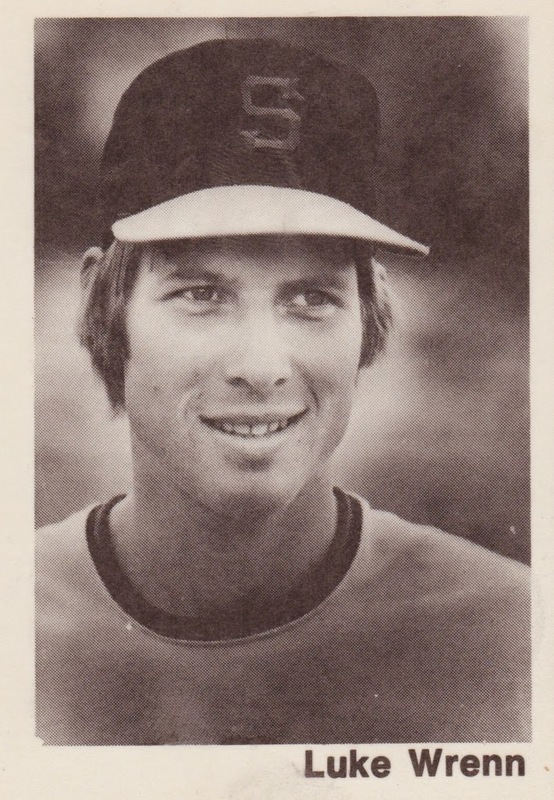 On the upside, Wrenn sent several talented players to MLB success, including Tino Martinez, Mike Hampton, and more. His scouting work "stars" in the article, Can we tell a good scout from a bad one? (via SonOfSamHorn.net). 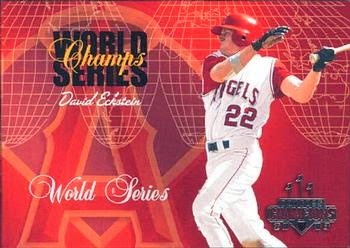 If you like those celebrations of scouting, Rob Neyer also included Luke's evaluation of David Eckstein in Eight scouting reports that really nailed it. 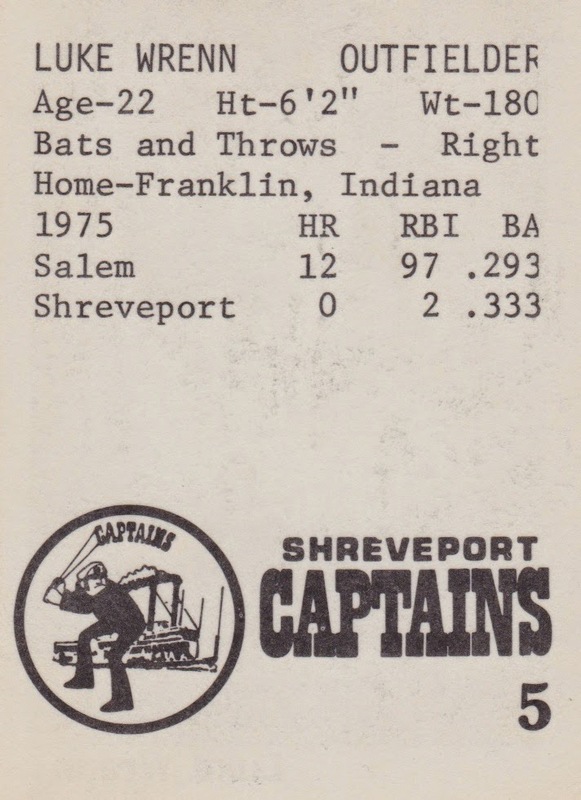 One of the names on Wrenn's Boston scout resume: Nomar Garciaparra. Most fans know No-mah's long, successful career for the Red Sox, Cubs, and Dodgers. 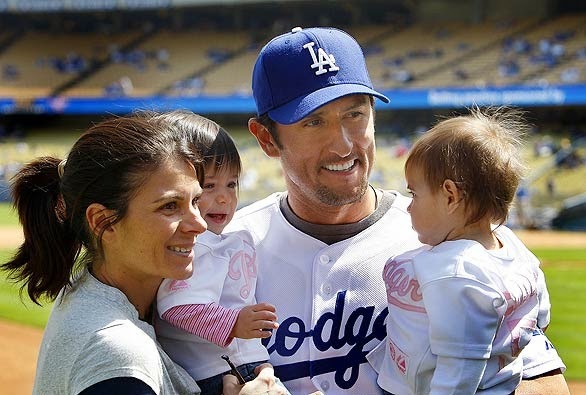 Along the way, he met and married Mia Hamm, pictured with their twin daughters. So why the emotional conflict? 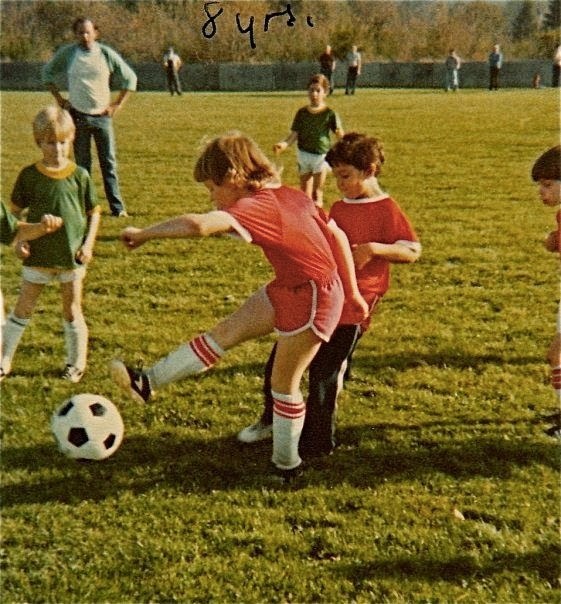 I was this 8 year-old soccer forward in 1980, about the same time 8 year-old Mia took up the game in Italy, where her military father and their family was stationed. I continued to play through my teens, as did she. 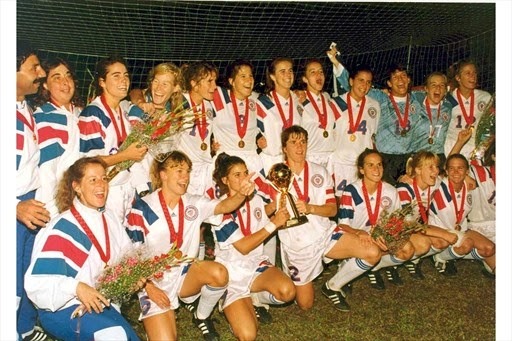 Mia proved so good, she made the USA women's national team at age 15 and helped them win the World Cup at age 19, the first of her several trips to the Cup. 1991 World Cup Champions! USA! USA! USA! I remained active in soccer and continued to moon after Mia for........ever. Still play. Still moon. Still wish Mia and I had to run into each other at a shopping mall or fundraising event. Still wish Nomar had picked another line of work. And I know I'm not the only member of the mooning-after-Mia generation. My younger brother asked why I was writing about Nomar and I said it was because this scout had found him for Boston, later enabling him to star on the national stage and get married to Mia Hamm. His response: "Oh yeah, heck with that guy." So heck with you, Luke Wrenn. Heck with you all to heck. Value: Mia is a national treasure. Fakes / reprints: There can be only one.